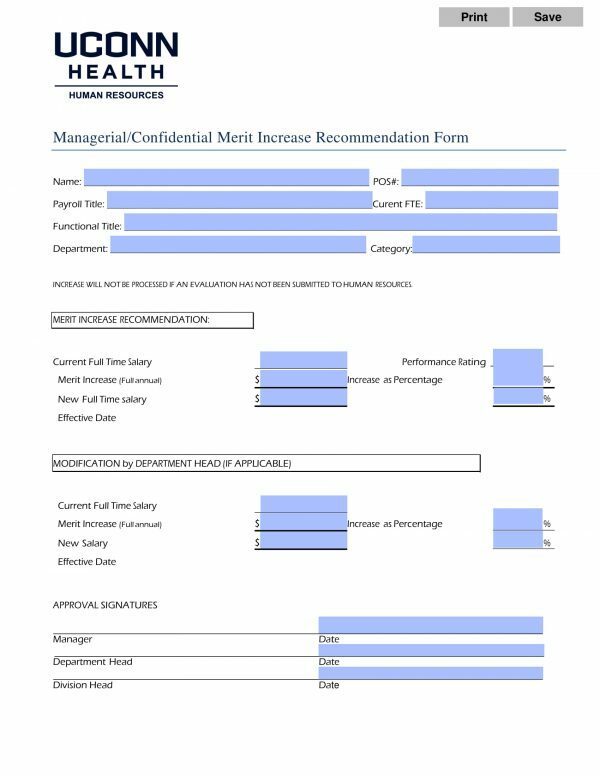 A merit increase recommendation form is a type of HR form or employment document that is used by companies to obtain a list from the supervisors and managers of who among the company’s employees are recommended to receive additional benefits and a bigger salary compensation percentage. 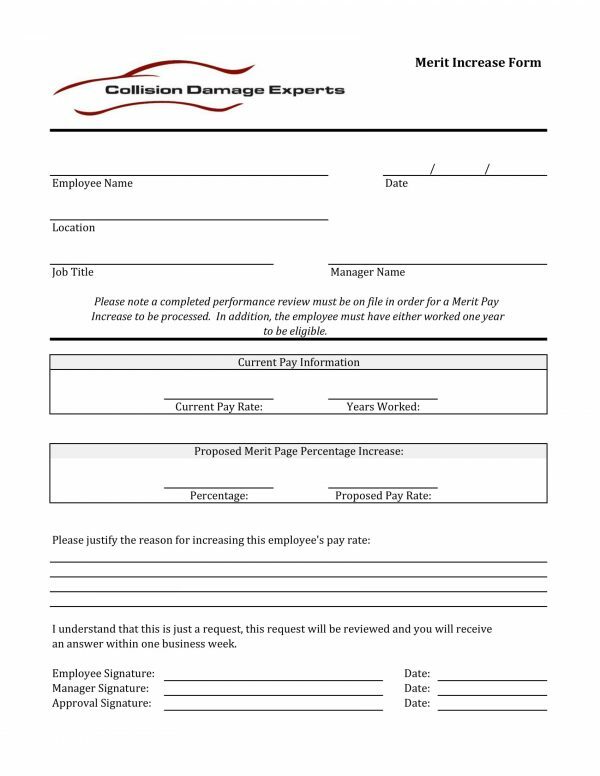 The form is usually provided by the company annually as part of the company’s performance pay incentive programs. Along with a merit increase recommendation form, the manager or the supervisor will have to use other documents such as the previous employee evaluation results of the staff and employees as well as their appraisal records. 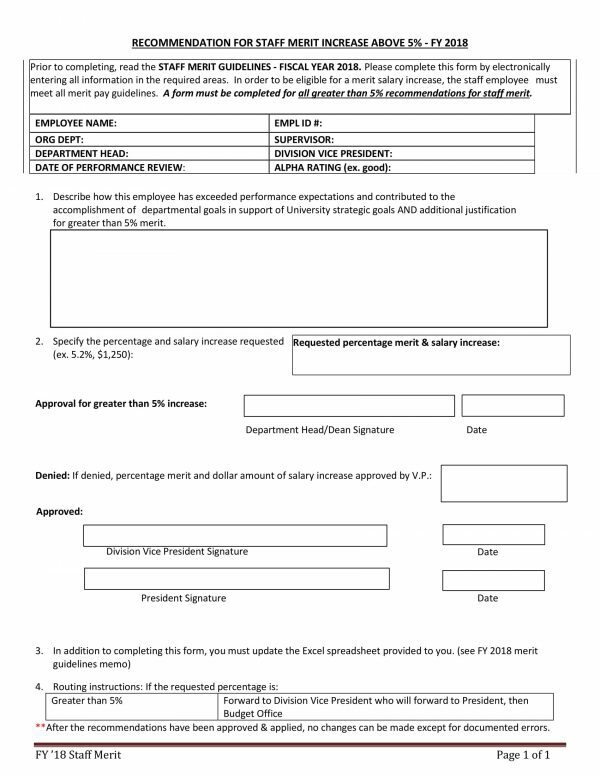 What’s In a Merit Increase Recommendation Form? Justification of the manager or head for each employee – This is where the manager or the head official of the company who provided the recommendation will be able to define and discuss his reasons of why he recommends the employees for the merit increase. Common reasons why employees are chosen to have a merit increase in their salary includes timeliness with the deadlines, maintaining a good quality of their work, and showing an attitude that indicates a willingness to do more than what is being asked by the company. Other reasons that managers can consider are the abilities of the employees to cooperate with the team, to grow throughout the period of his employment, and to stay in the company longer than his scheduled service hours in order to meet the desired output for the day. Modification of the employee’s compensation – The increase in the employee’s salary and worker’s compensation will be stated in this section of the merit increase recommendation form. Additionally, the manager must also indicate what the current salary pay of each employee is, how much the total salary of the employee will be, and when the salary increase will be mandated or seen by the employee. 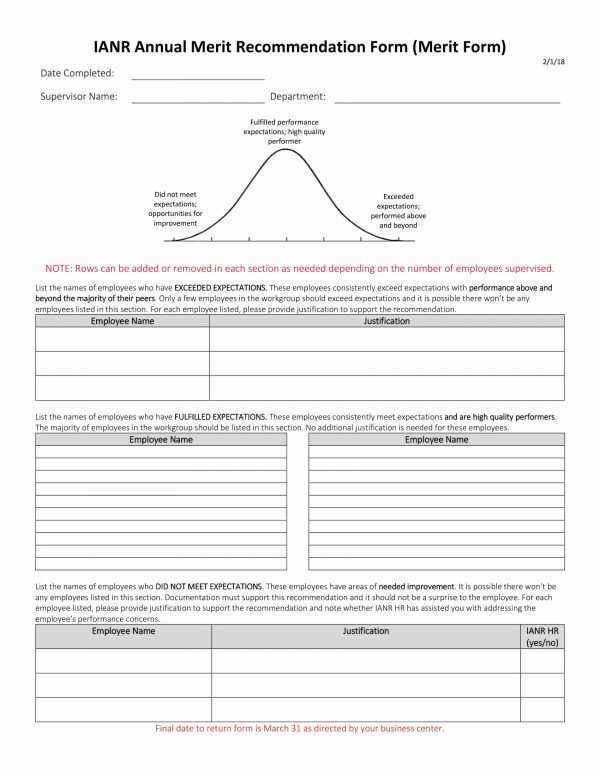 Approval signatures – Although managers and supervisors can suggest the percentage of increase that they will award to an employee, they must also be aware of the limitations of the company such as an increase that will be no more than five percent or ten. However, if the employee indeed deserves a huge percentage increase, then the approval of the company’s authorized committee will be needed to complete the form wherein their signatures along with the manager of the employee will be affixed to certify an approval of the increase. Moreover, merit increase recommendation forms must be reviewed and finalized before the increase will be provided to an employee in order to ensure that only the employees who worked hard enough or are deserving with the bonus and raise will be awarded.